Look, I'm confused as hell right now as to what is going on. Y'all, I never say this but drop some info in the comment section. Let's talk about it. 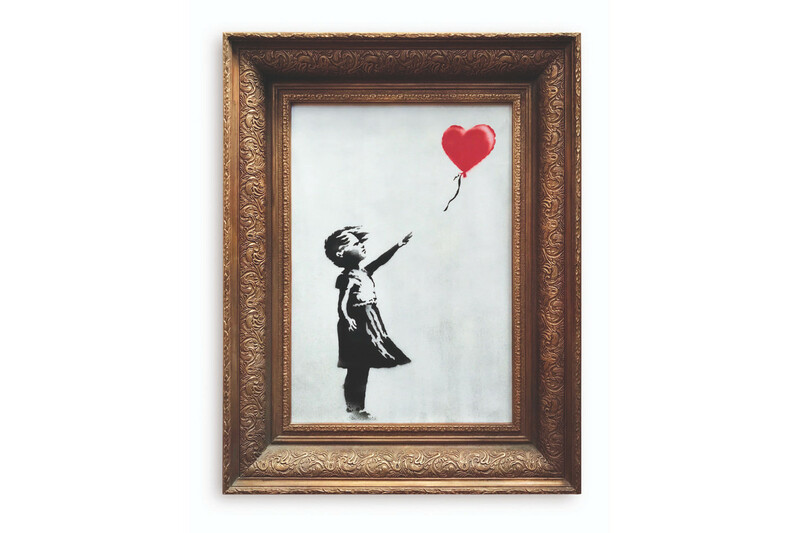 A rare Banksy artwork, Girl With a Balloon (2006), self-destructed moments after it was sold for a record-setting bid of $1.4 million USD at Sotheby’s in New York City. Immediately after the sale, the artwork set off an alarm and its canvas slipped through a shredder built inside the faux-gilt frame, essentially “destroying” itself. After videos were taken, staff rushed the piece out of the room. A man dressed in black wearing sunglasses and a hat was then seen scuffling with security guards near the entrance, causing onlookers to wonder if Banksy himself was actually inside the auction room. My question is if they get they money back?